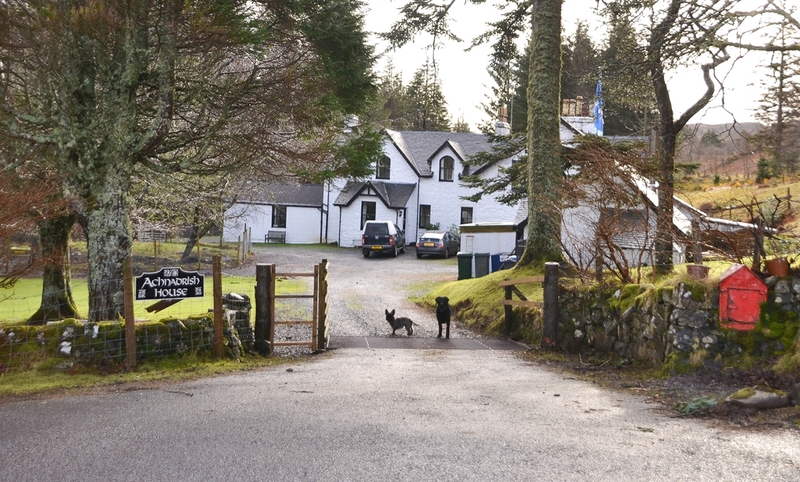 The Cabin, Achnadrish House, Nr Tobermory, Isle of Mull Self catering accommodation sleeping 2, the Cabin forms part of Achnadrish House, an 18th Century former hunting Lodge, just 15 minutes from Tobermory in the North of the Island. We offer self catering accommodation on the beautiful Hebridean Isle of Mull on Scotland's stunning West Coast. A short ferry ride from the main town of Oban, Mull offers fantastic untouched scenery, stunning white sandy beaches with turqouise seas, unrivalled wild life opportunities with eagles, otters, dolphins, whales, deer and a wide variety of birdlife, it is a wildlife photographers dream! The Cabin was originally built on to Achnadrish house during the last century for the housekeeper and although it has come to be called the Cabin it is a stone built building offering cosy and comfortable home from home accommodation. Open plan bedroom/sitting room with a double bed, sofa, TV/DVD player and small table. The adjoining kitchen is kitted out with everything you will need. The bathroom features a bath with over bath shower, a sink and toilet. Facing South with a private entrance and parking area, the Cabin overlooks the stables where we sometimes keep our ponies and has wonderful views towards Loch Frisa to the South East. Our wood chip boiler provides endless heat and hot water 24/7. Free WIFI. The Cabin is in an ideal location, 15 minutes drive from the iconic town of Tobermory and just 20 minutes away from a variety of stunning beaches. There are fabulous walks direct from Achnadrish.The nearest pub and shop is 2 miles away and the property is on a bus route although we recommend you come with a car. There is plenty to do and see in Mull, from exploring stunning beaches to wild life tours, a wide array of galleries, restaurants and bars to amazing boat trips where you can look for our wonderful dolphins, Minke Whales, basking sharks and too numerous to mention sea birds. But Mull's greatest asset is the wilderness and the wonderful peace to be found within it.